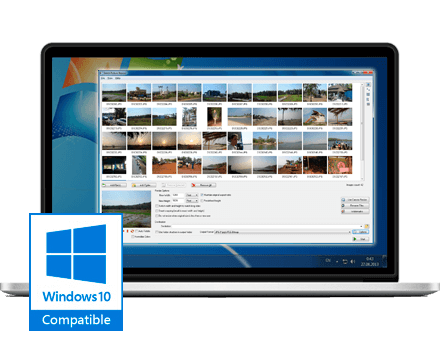 Download Batch Image Resizer for windows 7 32/64 bit. 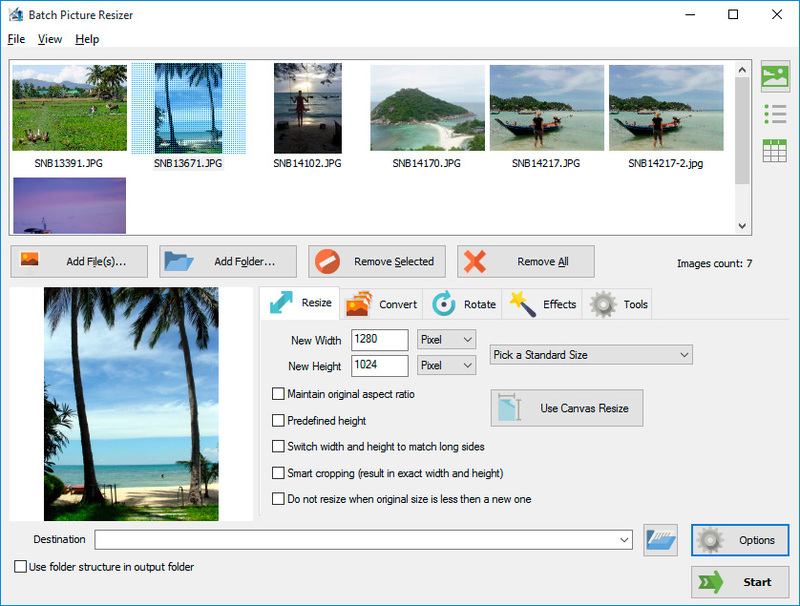 SoftOrbits team has produced a unique batch image resizer for Windows 7/8. Its functionality includes a series of features, which allow users to perform seemingly time-taking actions in less than a few seconds. Particularly, you can change the size of more than one image by setting resize parameters and applying them to all selected pictures. This bulk image resizer was tailored to satisfy clients' needs and follow their recommendations. Thanks to the SoftOrbits' openness to their clientele and readiness to accept feedback, both positive and negative, the product has climbed quite high up the quality ladder over a short period of time. It takes just a few standard steps to perform the whole multi image resize procedure. To add images, use File menu in the top left corner of the interface and select Add Files and/or Add Folder option. This can be done even more conveniently by aid of the Add Files and/or Add Folder buttons located just below the image section. Then click on the image(s), which you are going to resize. Apply appropriate image height and image width using pixel or percentage values. Select the options that you see below, if you want to. Use the image viewer and apply Rotate options if necessary. Apply watermarks and style them using your preferred font options. Select destination and press Start to get the mass image resizer working.